Life Expectancy, healthy life expectancy and disability-free life expectancy at birth for males, United Kingdom, 2013-2015,ONS. This map shows the life expectancy without a limiting long-term condition for men at birth for the years 2013–2015. Life expectancy without a long-term condition at birth was 64.1 years for London between 2013 and 2015. This was above the England average which was 63 years. As noted above, the measure is subjective and it depends on the respondent’s experience of their illness or disability. There is variation between men and women but it is possible that some of this variation is due to these groups reporting differently. 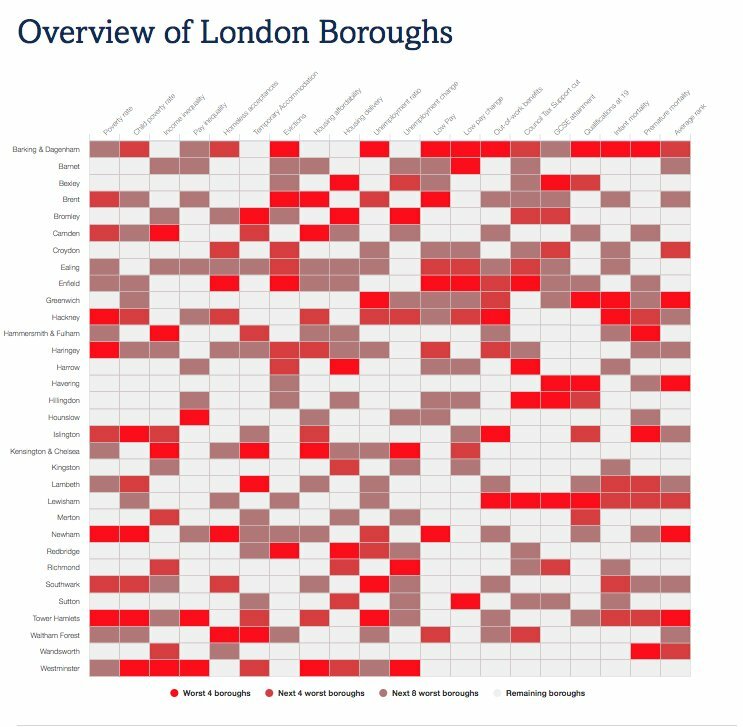 However, this hides a huge variation between the different London boroughs. 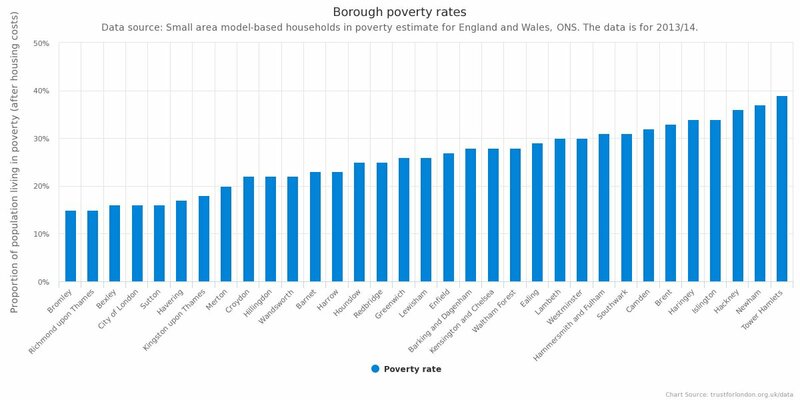 In Tower Hamlets, the borough with the lowest life expectancy without a long-term condition, men can only expect to live 54 years without a long-term condition. Whereas in Kingston – the borough with the highest life expectancy without disability or illness – men can expect to live 69.3 years. Overall, men in London can expect to live one year longer without a long-term condition than women in London even though men in London have lower life expectancies than women. Life expectancy at birth between 2013 and 2015 in London was 84.1 years for women and 80.2 years for men. This means women are living longer than men but not in better health. Life Expectancy, healthy life expectancy and disability-free life expectancy at birth for males (resp females), United Kingdom, 2013-2015, ONS.